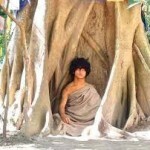 Ram Bahadur Bomjon (born c. 9 April 1990, sometimes spelt Bomjan, Banjan, or Bamjan), also known as Palden Dorje (his monastic name) and now Dharma Sangha, is from Ratanapuri village, Bara district, Nepal. 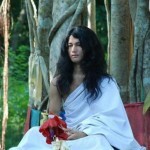 Some of his supporters have claimed that he is a reincarnation of the Buddha, but Ram himself has denied this, and many practitioners of Buddhism agree that the Buddha has entered nirvana and cannot be reborn. On 2 August 2007, Bomjon addressed a large crowd in Hallori jungle in Bara district of southern Nepal. The Namo Buddha Tapoban Committee, which is devoted to looking after Bomjon, assembled the meeting.